deep thinka records. buffalo, new york based independent hip hop label. The same team responsible for Hip Hop blaring through the halls of the Albright-Knox Art Gallery during the Art of Hip Hop Festivals nearly a decade ago, with everything from breakers, DJ’s, emcees and graffiti artists; the same folks who were the first Hip Hop act to perform on the WBFO live concert series; they also originated Hip Hop Karaoke in the City of Buffalo… Well, they’re at it again. We bring to you, BrunchFresh! A light afternoon of beloved tunes, amongst mature heads, enjoying specially prepared food from a curated menu by the talented Chef Alexa Joan. 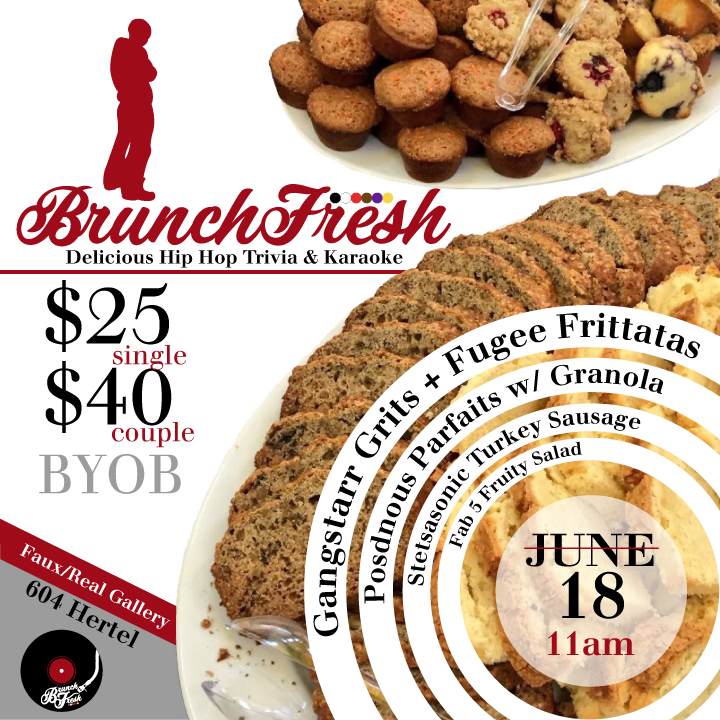 BrunchFresh features a game show with guests as contestants and is topped off with a round of karaoke. This event will be monthly and will have limited capacity and seating. Get tickets now. Illogic and Deep Thinka are starting a revolution! DTR wants you to take a long hard look at yourself and ask the question, What’s a Revolution Without Dancing? To help you answer such a profound inquiry, we are announcing our exciting partnership with Illogic and his impending Summer Tour with Lucid Optics! 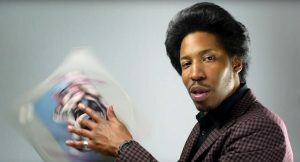 Illogic is an American hip-hop artist, poet, producer, writer and speaker hailing from Columbus, Ohio whose career has spanned nearly two decades. He is deemed, “one of the best word-for-word rappers alive…” –DJBooth.net. His debut album Unforeseen Shadows (1998) was recently selected by FACT Magazine as one of the best hip hop albums of all time indicating that his mastery of the spoken word has set an immeasurable precedent in the industry. His studio presence also sets an impressive bar, completing as many as six full length albums over a period of seven years. As an active member of Weightless Recordings, Illogic has worked closely with co-founder and longtime friend, visionary and producer Blueprint. In addition to his work with Blueprint, he has collaborated with Aesop Rock, Slug) of Atmosphere), Eyedea (R.I.P), and Cannibal Ox as well as countless others worldwide. And 2017 will prove to be no less epic as Illogic brings multiple projects of new and unreleased material including his debut producer credit on a cerebral instrumental! What’s A Revolution Without Dancing? 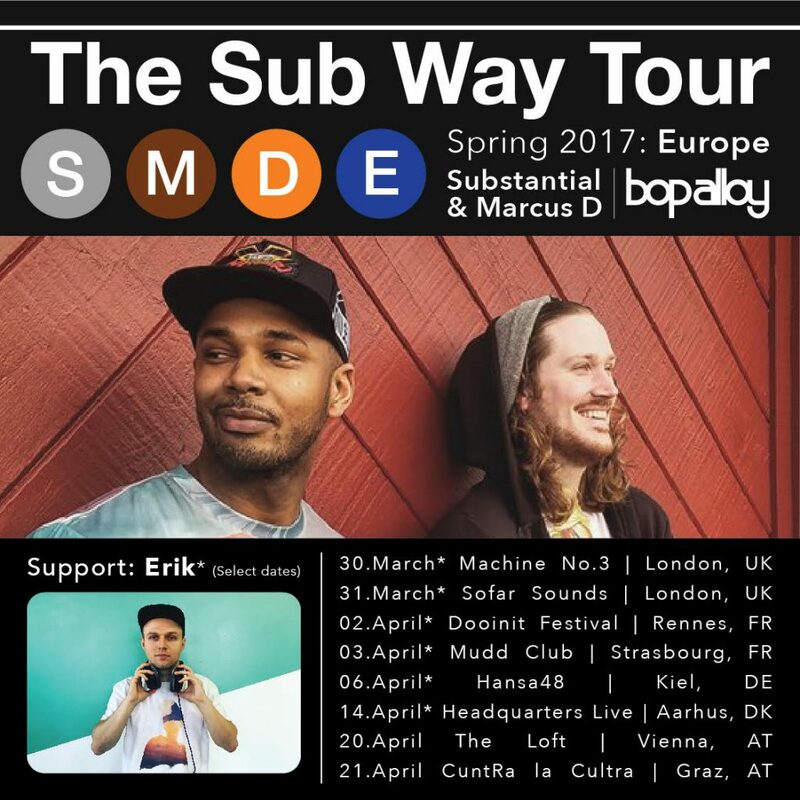 Tour w/ Illogic with special guest Lucid Optics. Bop Alloy, comprised of Maryland born emcee Substantial and the Seattle, WA producer Marcus D, haven’t set out to be the next group with a throwback sound, but to “make quality music that anybody, from any walk of life can enjoy,” Check out their music here, and check them in Europe at the date and venues listed below. Mark your calendars, on Sunday Feb. 19 Count Bass D hits Buffalo New York for a free show at Scratch & Shake – Hydraulic Hearth’s day-long vinyl swap meet and cocktail competition. The ever innovative hip hop artist and multi-instrumentalist will be in Buffalo for one day only, performing tracks off the cult classic record, Dwight Spitz. Local hip hop flavor will be provided by DJ Optimus Prime, Shane & Tone. This not-to-be missed extravaganza kicks off around 2pm, with Count rocking at 8pm. His critically acclaimed latest album, Instantly New, found Count out on the road for the greater part of 2016. Now, despite being in deep seclusion and hard at work on his next project – centered around a vintage Hammond B3 Organ – the “Rapper With the Most Chords” surfaces for a very special appearance celebrating his groundbreaking 2002 release.